France faces off against Australia in their #WorldCup opener on Saturday, 16 June at the Kazan Arena in Russia. Can the star-studded team help Deschamps to glory? In July 2012, Didier Deschamps took over the French national team as the manager, having made a significant impact when he wore the famous blue of France as a player. A team that was underachieving with a federation that seemed slightly incapable of doing its job adequately, the former midfielder had a huge task in hand as France looked to recover their status on the international scene and fulfil the talent that represented the nation. Just two years prior, under the ever-controversial Raymond Domenech, France exited the World Cup having failed to make it past the group stages in an embarrassing self-implosion. And just weeks before he was appointed, they were knocked out of the European Championships after an underwhelming run, where they struggled to make it out of their group and then lost in the second-round to eventual winners Spain, in convincing fashion. His predecessor was his former team-mate, Laurent Blanc, who did a fine job to stabilise the ship and clear the toxic atmosphere. It was Blanc's failure to bring satisfactory results that cost him the job. Deschamps had to improve on that front. Since his appointment, France have improved their performances at major tournaments. Their qualification for the World Cup 2014 in Brazil wasn’t pretty, but their results at the finals itself were encouraging to say the least. They breezed through the group stages and the Round of 16, but lost to eventual champions Germany in the quarter-finals. Two years later, they made it to the final of the European Championships they themselves hosted, only to lose, rather embarrassingly, to a Cristiano Ronaldo-less Portugal. Now at the World Cup, with the best squad he has had since he took charge, it is more or less, a do-or-die situation for a man that was so revered as a player. If France manages to win the World Cup, Deschamps will etch his name in footballing folklore for becoming only the third man, after the great Mário Zagallo and Franz Beckenbauer, to win the World Cup as a player and a coach. Brazil's Zagallo won the 1958 and 1962 editions as a player and then repeated the feat in 1970 as manager – with the legendary Pelé being a key feature in all three successes. Beckenbauer lifted the 1974 World Cup at home as captain, and then as the manager in Italy 16 years later which was West Germany’s last success at the finals before they became a united nation. 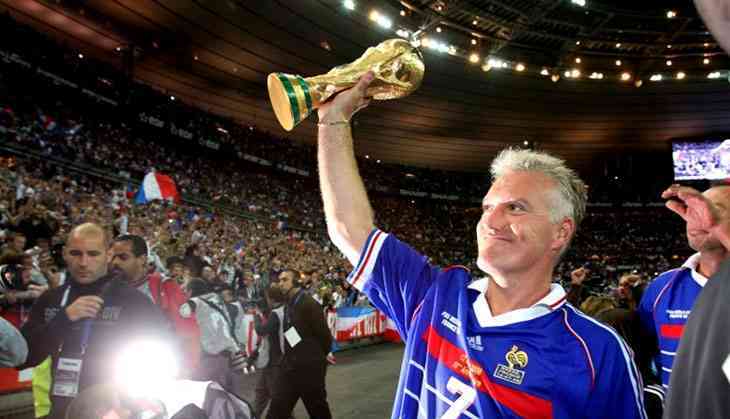 Now, Didier Deschamps has the chance to add his name to the history books with his and France’s second World Cup. If he fails to do so, or even if his team underachieves greatly, it would be more than likely that he gets the sack. Although the final standings in major competitions have been decent, his teams often flatter to deceive in terms of their on-pitch performances. The loss in the final of the Euros raised questions of whether he can carry this team to a major trophy, and this World Cup is, perhaps, his final chance to prove that he can achieve glory with the national team as a coach. As the World Cup kicks off in Russia, Deschamps faces a huge headache in several areas. Despite a star-studded team that can afford to leave out the likes of Alexandre Lacazette, Anthony Martial and Adrien Rabiot amongst a host of others – the sort of rejections that would slot into any of the other 31 nations’ rosters – Deschamps’ problems are plenty and he needs to address them in order to achieve the maximum possible success. The first issue comes with his goalkeepers and more specifically, the form of his captain, Hugo Lloris, who is also the player with the most caps in the team. Lloris has had a tough season in England with Tottenham Hotspur where he ranked second in the list of goalkeepers with most errors leading to goals (5), just one behind his North London rival, Arsenal’s Petr Čech. That statistic contributed heavily to him topping the list for most errors leading to goal since the 2015-16 season, with 10. Furthermore, in that same time-frame, he has also committed the most errors leading to shots with 20. Lloris even made similar errors in the two warm-up games against Italy and the United States. In the former, he cleared away a stinging Mario Balotelli free-kick, only for Leonardo Bonucci to score on the rebound, while a few days later against the USA, he was incompetent against a meagre Julian Green shot on the near post. 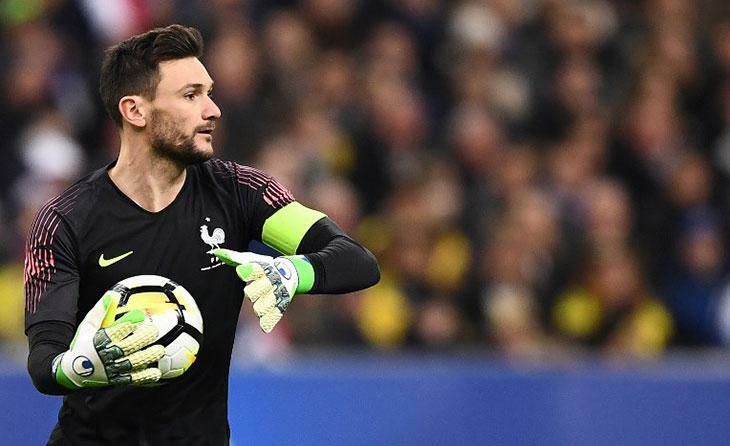 Deschamps was quick to defend his captain, citing that Lloris’ experience is the reason for his lack of concern and that it is “better to happen now than during the competition.” There are very few goalkeepers the French would replace him with, and at the finals, he needs to show just why he is so well-received by the public and why he was given the highest responsibility. Another concern comes in midfield, especially with Paul Pogba, a man that never fails to stay away from the limelight. It could be said that the last time he was at his best for his country was at the World Cup in 2014, where he was the tournament’s best young player, according to FIFA. While that is quite the accolade, he hasn’t really built on it. At the Euros, he was underwhelming, failing to turn up when they needed him most in the final, while he isn’t aided by the fact that he hasn’t become all that better since joining Manchester United from Juventus two years ago, with an abundance of defensive responsibility hindering his attacking prowess. 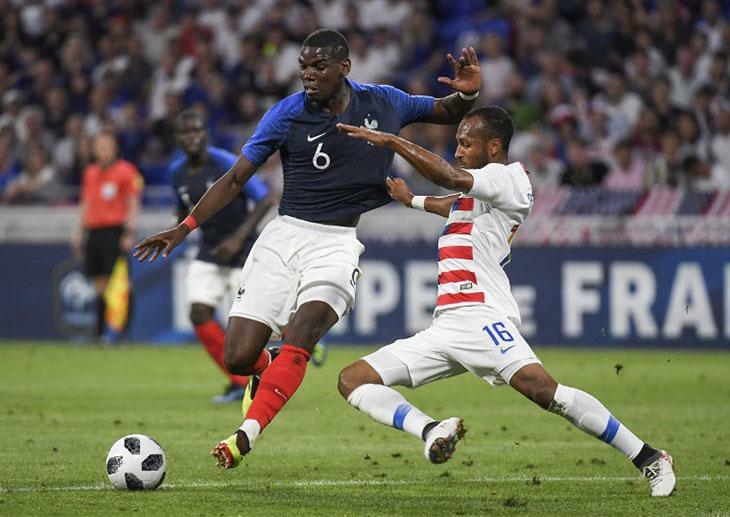 Recent friendlies have also shown the French public’s disapproval of the Manchester United midfielder, as he was jeered off when substituted against Italy. A similar concern for Deschamps will be the question of who to play alongside him. Blaise Matuidi would bring more defensive stability if paired along with N’Golo Kanté, allowing Pogba a free-role in a more attacking sense, while Corentin Tolisso’s inclusion instead of Matuidi, which does seem more likely at this point, would leave France more exposed from a defensive standpoint. If Pogba’s form fails to pick up, Deschamps may just rue the decision to leave out Adrien Rabiot, a player who could have deputised greatly. The next issue Deschamps faces is the inexperience in the side. As mentioned before, this is clearly the best team he has had for a major international tournament in the six years that he has led the national team. Despite that, it is still a young team that hasn’t had the exposure of top-level international football. The average age of the 23-man roster is 26-years-old – the joint-second youngest at the tournament, along with England and slightly behind Nigeria (25.9). And despite the clear talent, this could cost them greatly. Too much pressure is on the shoulders of two of the youngest players in Russia – Ousmane Dembélé and Kylian Mbappé. Both have a combined age of 40, which, to put their youth into perspective, is still five years younger than the oldest player at the tournament, Egypt’s Essam El-Hadary, 45. They’ve both had contrasting seasons with Mbappé hitting a patch of a lack of form in the middle of the campaign with Paris Saint-Germain, despite being good for the most of it, while Dembélé suffered from two serious injuries and couldn’t quite cement his place in the starting line-up for Barcelona. In some respects, they both had record transfers and their performances at the World Cup, especially against the stronger nations will show just how they deal with major situations. To have the responsibility of leading the line and supporting an accomplished superstar in the form of Antoine Griezmann as they look to fire France to their first World Cup in 20 years can shape them and although it does seem likely that they will do well, this early experience will influence their careers immensely. How Deschamps handles them in terms of form, rotation and tactical freedom will determine their campaign. Another area affected by inexperience, and also injury, is the defence. The usual full-backs, former Monaco pair Benjamin Mendy and Djibril Sidibé, have had recent injury concerns. Mendy just recently returned from a career-affecting ACL (ligament) injury, while Sidibé picked up a meniscus problem just before the tournament. They are likely to be replaced by Benjamin Pavard and Lucas Hernández, two 22-year-old centre-halves turned full-backs, who have just 11 international caps between them. This is another cause for concern and with the latter parts of the competition likely to see France come up against stern opposition, they could be exposed on the flanks. Will they perform under pressure? No major competition comes without key issues to be addressed. Although France and Deschamps have essentially a team of all-stars, there are major problems that may hold them back. 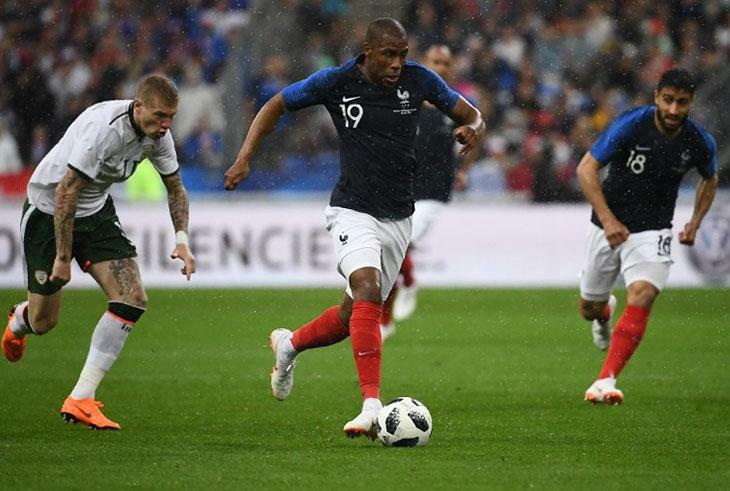 Strong favourites and a roster overflowing with infinite talent, the sky is the limit for this side, but how Deschamps handles them and fixes important problems that can stop them will be the key. They’re seven games away from glory, but when put under a greater spotlight, making it to those seven games may just be too far. Deschamps is under great pressure and anything less than the semi-finals may just see him pack his bags. The likes of Jürgen Klinsmann, Dunga and Diego Maradona all tried and failed to repeat the historic achievements of Zagallo and Beckenbauer. Deschamps has a second throw of the dice, a second shot at glory, but this may just be his last. His squad is well-equipped, well-drilled, highly reputed but lacking in certain areas that could cost them majorly and he needs to find a way to overcome those problems, as all great champions do. Didier Deschamps has done well to take them away from the disaster of South Africa in 2010 and put them in a great position, but now is the time to turn that progress into results, and the results into the greatest trophy in the sport.